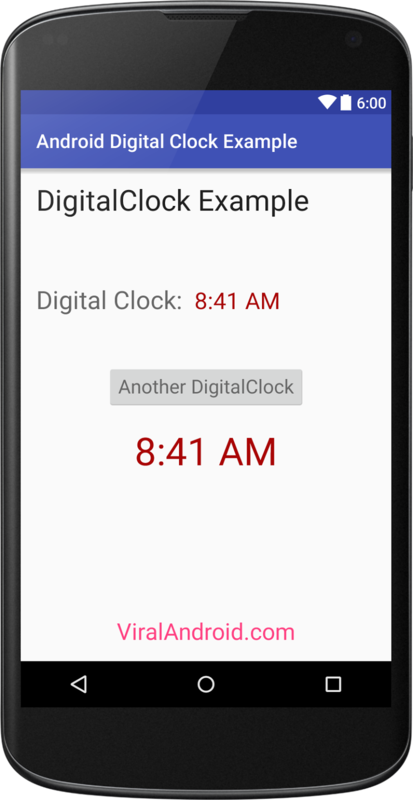 In this tutorial, you will learn to display a clock in android application in digital format. DigitalClock widget is simple to code and used in android. To use simple digital clock in android application you don’t need to write java code, only little bit XML code work. You can find lots of digital clock in android developer site. Now, run your android digital clock application, you will see one clock at first and after clicking the show another digital clock button, you will able to see another digital clock in the same screen. Your application will look like output given below.